It is with a blaze of excitement that I share my next big adventure with you. It’s something I’ve been dreaming of doing since I was a teenager, and after more than three decades, I’ve finally decided to go for it…my first IRONMAN TRIATHLON! For those of you who may only be vaguely familiar with IRONMAN, it’s considered one of the more challenging multi-sport endurance events in the world, comprising a total of 140.6 miles: 2.4 mile swim, 112 bike ride, and 26.2 mile run. Competitors must finish the race in under 17 hours. The event I’m participating in will take place in Tempe, AZ on November 20, 2016. One of many long rides I’ll be enjoying during the year ahead as I train for Ironman Arizona. To be quite honest, I’m still pinching myself that I finally hit the registration button after thinking about doing this for 34 years (when I first watched Julie Moss crawl across the finish line on Wide World of Sports in 1982), and I’m slightly terrified that I’ll fail , but I’m far more excited about the epic journey ahead! Woot! Woot! This is a whopper of a birthday present to myself on the 21st anniversary of my 29th year…a gift of time and resources to chase after my dream. My mantra is one day and one workout at at time. Train smart. Have fun. Enjoy the journey. On another note, most of you know philanthropy is an important part of my life–on my very “regular person, non-Rockefeller or Bill Gates” level. Like you, I try to do what I can, when I can, and hope it makes a small difference in the world. While I normally raise funds for cancer research, for this race I’ve branched out and joined TEAM EMPOWER, which is affiliated with the race, raising funds for a very inspiring organization called SMILE TRAIN. Smile Train is an international children’s charity providing free surgery for children suffering from cleft lip and cleft palate. Children born with cleft cannot eat or speak properly, aren’t allowed to attend school or hold a job and face very difficult lives of shame and isolation, pain and heartache. Some children are even abandoned or killed—all because of the way they look. Their clefts usually go untreated because they can’t afford the simple repair surgery that takes as little as 45 minutes and costs as little as $250 dollars. My goal is to raise $5,000 during IM AZ, which will change the lives of 20 kiddos. This completely tangible goal makes me smile just thinking about it! The first 15 people to contribute $250 will be entered into a raffle for a $100 Amazon gift card. That’s a 1 in 15 chance, and the best part is that you will personally be changing the life of one child and his or her entire family! How cool is that?!? The first 15 people to contribute $100 will be entered into a raffle for a $25 Amazon gift card. And of course, any amount you are able to donate is appreciated–even if it’s equivalent to a cup of coffee. It all adds up! HERE IS THE LINK TO MY SMILE TRAIN FUNDRAISING PAGE: http://support.smiletrain.org/goto/beckyaaronson. All donations are 100% tax deductible. Thanks for considering, and thanks for being part of this epic year ahead!! Your good thoughts will make all the difference in getting me to the starting line!!! 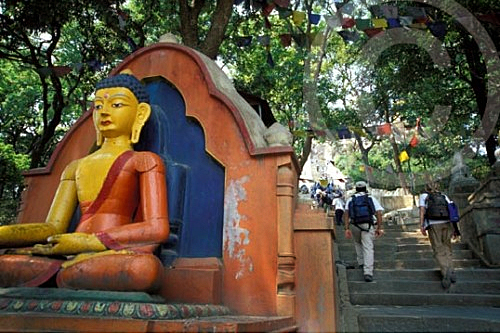 The news from Nepal is devastating. More than 7,000 people have been killed in the 7.8-magnitude earthquake that struck on April 25th, and thousands are still missing. 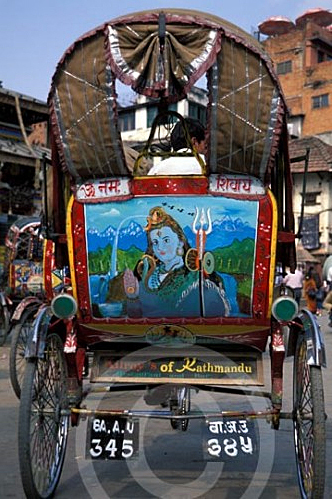 Having been to Nepal and spent time reveling in the warmth and beauty of this special country, it’s particularly heartbreaking to see what has happened. That’s why I wanted to do something to help. 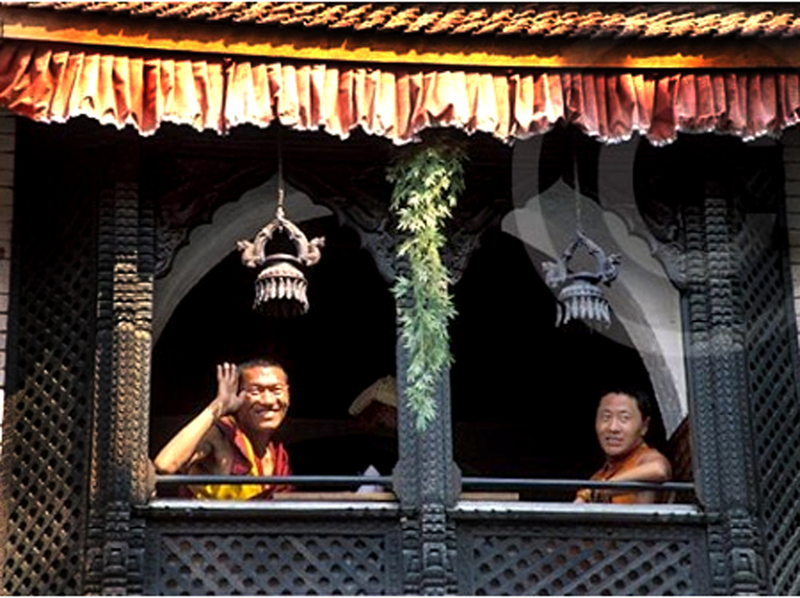 The friendly faces of Nepal…monks having tea in the Thamel area of Kathmandu. 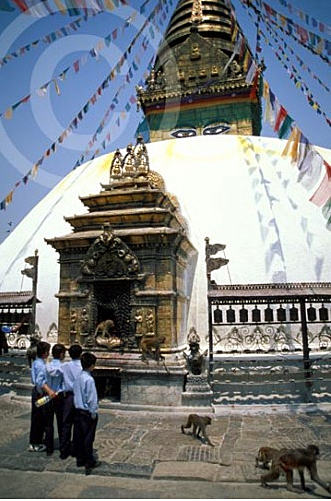 This was taken during my visit there, long before the earthquake. Since I’m not related to the Rockefellers or the Bill Gates Family, I had to focus on a more homespun approach. 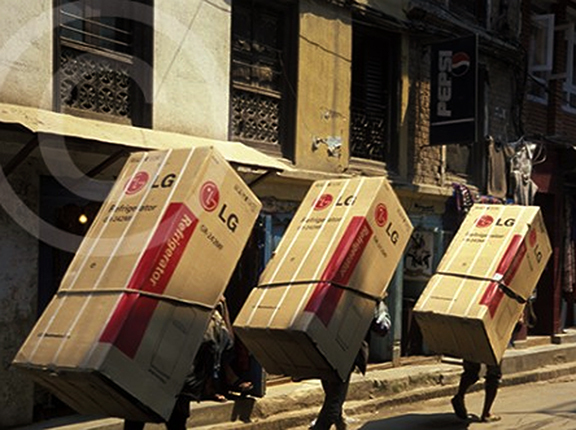 That’s when the “Popsicles for Nepal Challenge” popped into my head. 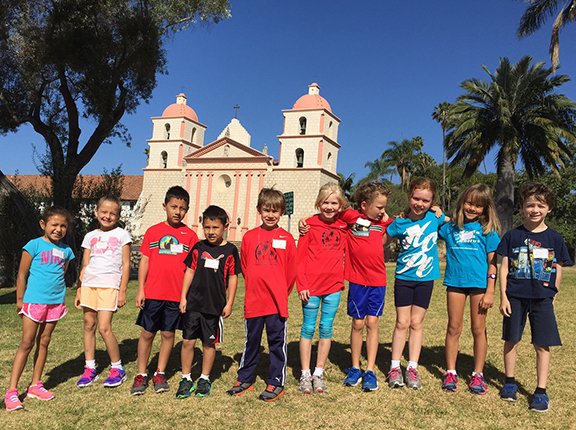 It started with our Roosevelt Elementary School Running Club. 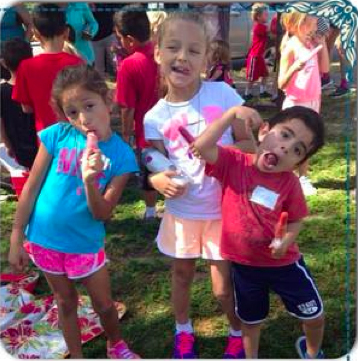 I simply brought four boxes of healthy’ish Popsicles to practice last week, emailed the kids’ parents in advance, then “sold” the Popsicles after practice on a donation basis. I told them that ANY amount was welcome, and if some kids didn’t bring money, I donated for them. This little running club (and their parents) knocked my socks off with their compassion, generosity, and their desire to help the people of Nepal. In less than 10 minutes, we raised nearly $200 for Direct Relief (www.directrelief.org), a humanitarian aid organization based here in Santa Barbara, ranked #1 on the Top 10 List of charities. After starting the Popsicles for Nepal Challenge, our Roosevelt Running Club then challenged the Kids Corner Coyotes, another team I help coach on Saturdays. I have goosebumps as I type this….drumroll please…the Coyotes raised a whopping $420 for Direct Relief, thanks to one parent who doubled the kids’ efforts through his company’s matching contributions program. Thank you Kevin! And the topper? He also just matched our Roosevelt Running Club (and then some), so our combined efforts come to over $900–all in 10 minutes time–seriously. The best part of this whole process is showing the kids that small acts of kindness, when combined with others’ small acts of kindness, can turn into something much bigger. The Coyotes have now challenged the Santa Barbara Track Club via Facebook and I’ve also challenged the Moms in Motion Running Team, as well as several friend’s and family’s hiking/running/workout groups here, and in different parts of the country. The ball is rolling! Two hundred dollars (or even $20) here or there may not seem like a lot, but when sending resources to a country that had little to begin with, please know this money will go a long, long way. 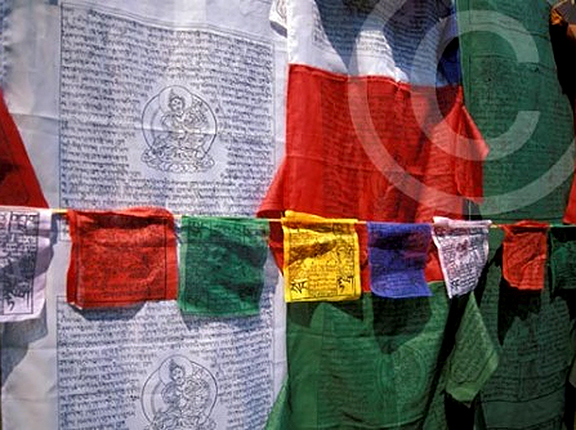 And Nepal needs A LOT right now. This challenge takes very little effort. Simply bring some popsicles to your next practice or gathering and see how much people will donate in exchange for a cool, tasty treat. Popsicles are especially refreshing after a good workout! I hope whoever is reading my blog right now will take this challenge, then challenge another group (Girls Scouts, Boy Scouts, book groups, cycling or triathlon groups, theater or dance groups, church groups, people in your office…the list goes on and on). Tweet it, post it on Facebook, and share this simple idea. Together let’s take a small idea and make a big difference in helping get the fabulous people of Nepal back on their feet again. 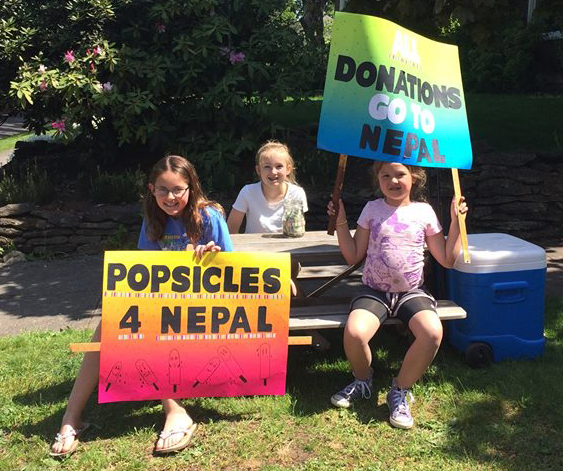 UPDATE: This fabulous 3-person team in Hood River, OR took the Popsicles for Nepal Challenge and raised $124 for Direct Relief, taking us over the $1K mark. Way to go Tate, Abby and Anna!